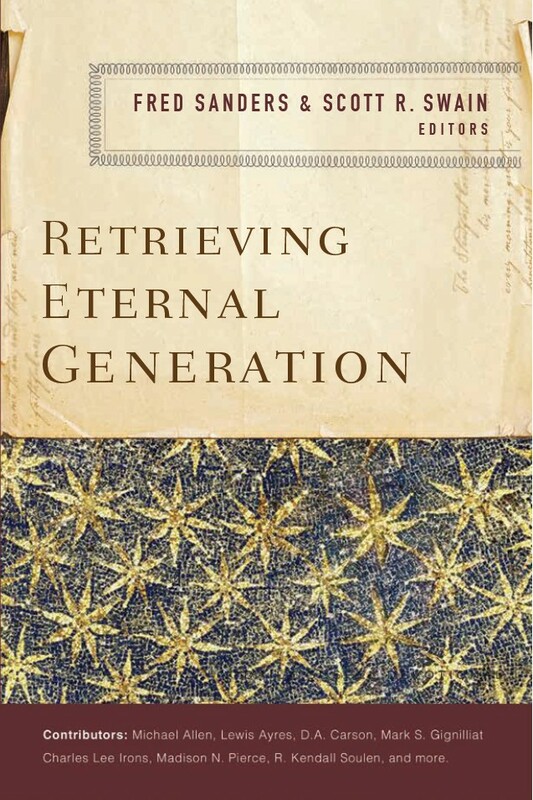 The book I co-edited, Retrieving Eternal Generation, is releasing this month, and a few people have asked me about the cover. The beautiful, beautiful cover. There are a few reasons this cover features golden stars on a blue background. One is that I saw an opportunity to make people look at mosaics from Ravenna, and that is an opportunity I am never going to pass up. These mosaics were the immediate occasion of my academic turn from art to theology back in the day (long story but maybe I’ll tell it sometime). Another reason is that we couldn’t actually find a picture of the eternal generation of the Son from the Father. This is great news for the history of iconography; real cause for celebration. It also probably kept Scott Swain on board, since he’s more scrupulous about images than I am (probably a Reformed thing; let’s ask him sometime). Another reason is that since it’s a book full of pro-Nicene theology, the Nicene phrase “light from light” suggested a way to evoke the subject without representing it. I considered several images that featured a single light bringing forth another light, but I didn’t like the too-direct connection between idea and representation. Instead, something like a spangle of lights fanning out from an unseen source seemed evocative without attempting to be literal. If you attempt to be literal, you’ll risk seeing about 28 things being generated here, so knock it off. That insight is that the Son is eternally begotten (or generated) from the Father. It is not enough to say that the Son is God; we must see that he is God the Son, not just God-in-general. Sonship, or eternal generation, is what gives both form and content to the relation between the Father and the Son: the relation has the form of fromness, and the content of filiality. Whenever the nature of that relation is left unspecified, any articulation of Trinitarian theology becomes brittle and disconnected. Without eternal generation, the constellation of truths that compose the doctrine of the Trinity remain just so many points of stellar light; they are stars that fail to constellate. They remain strangely isolated facts about threes and ones, essences and persons, in the cold vacuum of theologoumenal abstraction. In modern times, the doctrine of the Trinity is often taught in this disconfigured, unconstellated way: set forth as a teaching about one God in three persons as if that were the main business of the doctrine, with the possibility left open that the actual relations of the persons do not need to be specified, but could be as a matter of detail. But this rough-and-ready approach is clean contrary to the systematic needs of a coherent doctrine of the Trinity. 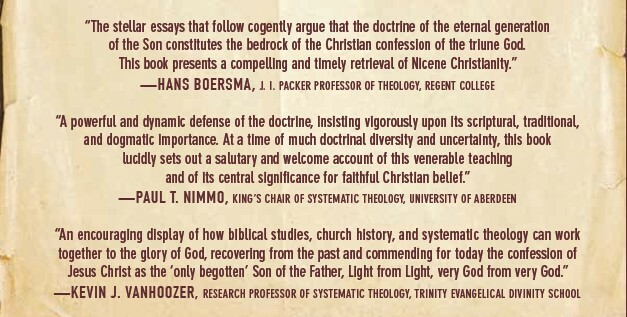 It is not how the great, central tradition of Christian teaching has presented the doctrine. Nor is it how we first encounter the reality of the Trinity in Scripture. The goal of Retrieving Eternal Generation is to make three cases in adequate detail: that this classic piece of theological confession is in fact biblical, traditional, and systematically satisfying. It is our hope that these three are one persuasive argument for retrieving the doctrine of eternal generation and recognizing its central importance for the doctrine of the Trinity.